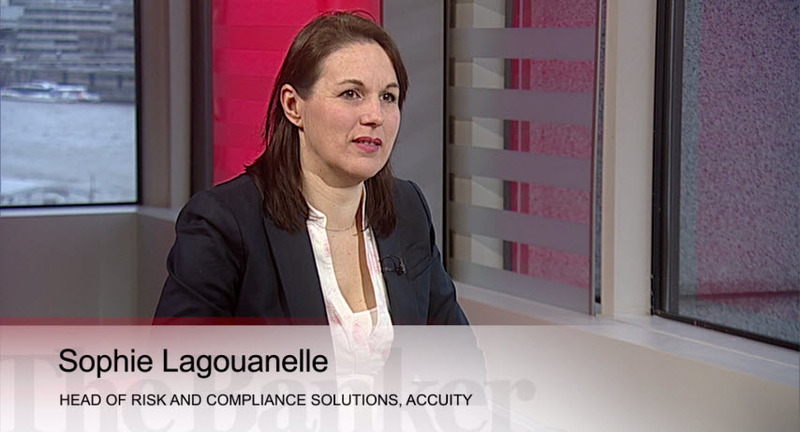 In the final video of the Banker Masterclass video series on ‘Protecting your future and reputation in payments’, Sophie Lagouanelle, Head of Risk and Compliance Solutions at Accuity, challenges the view that regulatory compliance programmes present a barrier to the pursuit of innovative payments solutions, arguing that they should instead be seen as an opportunity to differentiate new services. 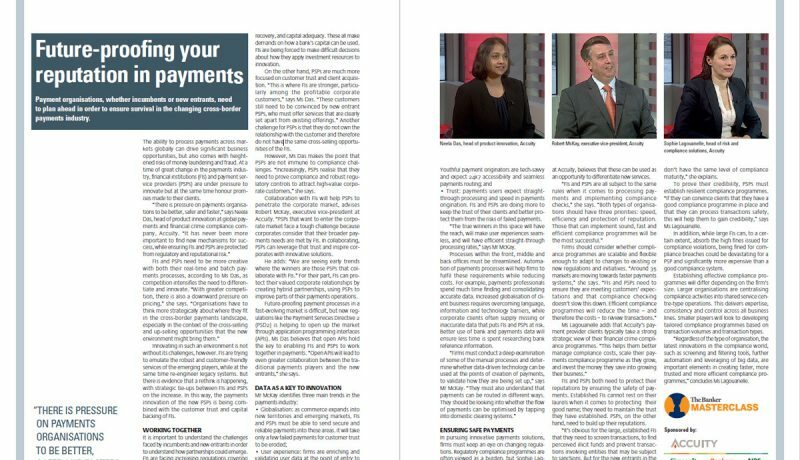 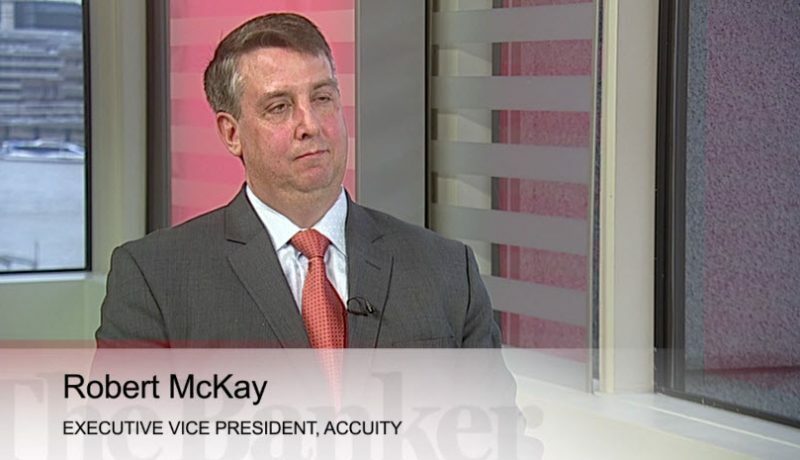 Among its PSP clients, both established and new players, Accuity sees three clear priorities for payments compliance: speed, efficiency and protection of reputation. 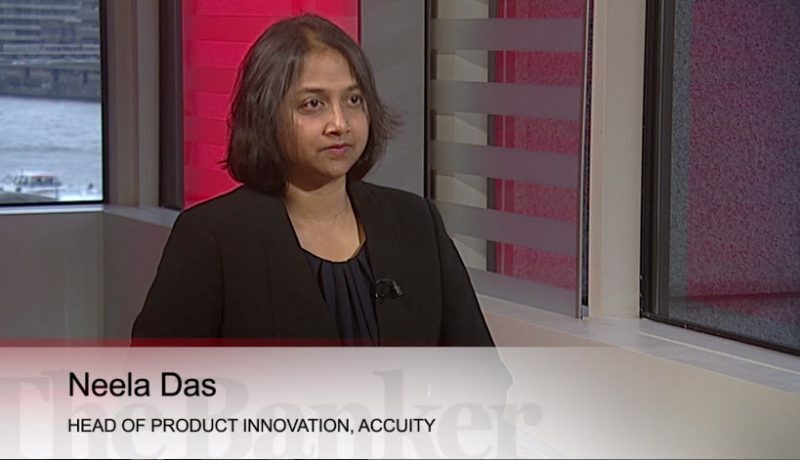 Sophie discusses how organisations can harness innovation to meet their priorities for payments compliance and achieve competitive differentiation.